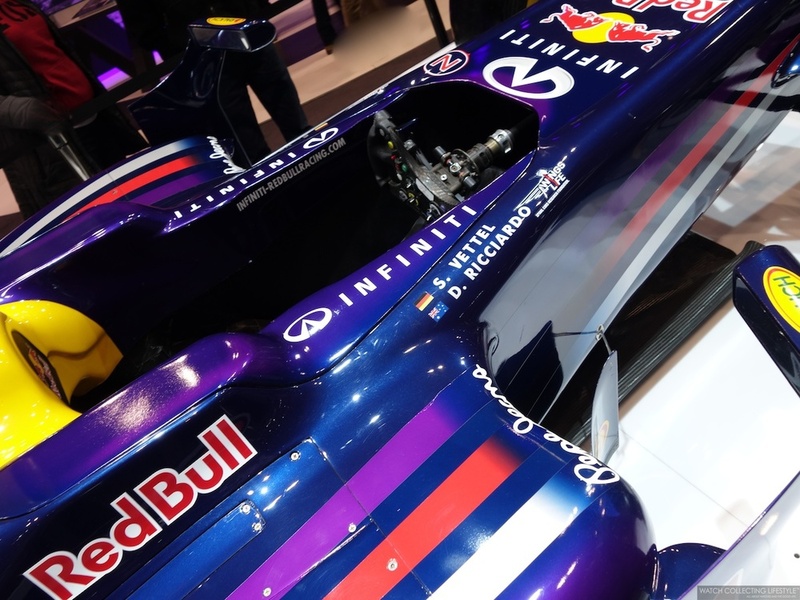 Experience: Sebastian Vettel's Infiniti Red Bull Racing Formula One Car. Big Changes Taking Place During 2014's Formula One Season. As we prepare for the 2014 Formula One season to kick-off in two weeks with the Australian Grand Prix on March 14th thru the 16th, we decided to bring you these up close and personal images of Sebastian Vettel's Infiniti Red Bull Racing Formula One car. As you all know, Sebastian Vettel is the current Formula One champion and champion for four years in a row since 2010. In his first year driving for Red Bull in 2009, Vettel finished the season as the youngest-ever World Drivers' championship runner-up and in 2010, he went on to become the youngest driver to ever win the World Drivers' Championship. That same same year, he helped Red Bull win the team's first World Constructors' Championship. Today, he is the youngest triple and quadruple champion that has ever existed in Formula One. The Infiniti Red Bull Racing F1 car, just like all other Formula One cars, is tightly controlled by the regulations of the FIA in terms of technical specifications and car dimensions. These amazing racing machines cannot be wider than 1.80 meters —70.86"—, longer than 4.63 meters —15' 2"—, taller than 95cm —3' 1"— and the bodywork between the front and rear wheels must not exceed 1.40 meters —4' 7"— in width. As a result of these strict regulations, most constructors will end up with similarly sized cars. With the exception of the rear wing, moveable bodywork is not allowed. Furthermore, any system, device or procedure which uses driver movement as a means of altering the aerodynamic characteristics of the car's bodywork is prohibited. Formula One cars may be equipped with moveable rear wings which allow the driver to control the wing's angle of incidence —within certain specified limits— from the cockpit with a system widely known as DRS —Drag Reduction System. However, during the race, the system is electronically governed and is only available when a driver is less than one second behind another car and going by the DRS detection point at pre-determined areas on the track. In order to use the DRS when available, the driver is alerted via a dashboard light. Once used, the DRS system is deactivated when the driver brakes and the rear wing flap returns to its original position. Certain sections of bodywork, such as the front wing end plates, are required to be thick enough to prevent tire damage to other cars. Any bodywork that flexes excessively, could in theory be used to gain an aerodynamic advantage. Therefore, specific sections of the bodywork, such as the front wing, must be sufficiently rigid to pass the FIA’s ever more stringent deflection tests. 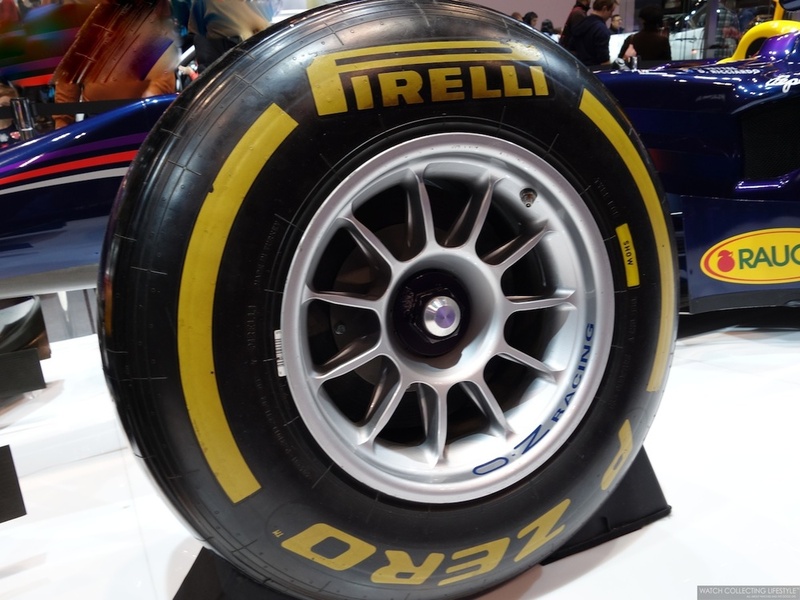 The construction of Formula One cars and the materials used are also strictly controlled by the FIA regulations in order to maximize the safety of the cars and the drivers. The main structure of the car comprises a safety cell which contains the cockpit plus the flexible fuel cell, which is housed immediately behind —but separated from— the driver. This safety cell must meet minimum size requirements and must have an impact-absorbing structure immediately in front of it. The design of the car must also include an additional impact-absorbing structure at the rear, behind the gearbox, and on the flanks of the car. The car must have two roll structures to protect the driver in the event of the car overturning. One must be immediately behind the driver’s head, the other at the front of the cockpit, immediately ahead of the steering wheel. The car and its survival cell must pass several strict impact, roll and static load tests before the car is allowed to take to the track. The size of a Formula One car’s cockpit opening must also comply with strict specifications. Compliance with these specifications is tested by lowering a specially made template into the cockpit. In addition to this, the cockpit must meet numerous other requirements. A driver must be able to get in and out of the car without removing anything other than its steering wheel. Once strapped into the car with all his safety gear on, the driver must be able to remove the steering wheel and get out within five seconds, and then replace the steering within a further five seconds. When it comes to the engine power of an F1 car, up until 2013 —some big changes will be taking place this season—, a Formula One car’s power unit consisted of a 2.4-litre normally-aspirated V8 engines outputting more than 750bhp and a gearbox with seven forward ratios. Also up until 2013, the teams were allowed unlimited fuel consumption with an average of 160 kilos of fuel per race with two exhaust tail pipes. A team of specially appointed scrutineers has the power to check cars at any point during a Grand Prix weekend to ensure that they fully comply with technical and safety regulations. Every car is initially examined on the Thursday of a race meeting —Wednesday for Monaco's Grand Prix— and a car cannot take part in the event until it has passed scrutineering. A car must be re-examined by scrutineers if any significant changes are made to it by the team or if it is involved in an accident. In addition to scrutineering, cars are also weighed during the Grand Prix weekend to ensure that they comply with the minimum weight of 642 kilograms —1,415.37 pounds. Cars taking part in Q1 and Q2 are called in at random to be weighed, while all cars participating in Q3 are weighed after the session. Classified finishers are weighed again after the race. Any competitor failing to meet the minimum weight may lose their qualifying times or be excluded from the race results unless this is due to the accidental loss of part of the car. Watchlifestylers get ready for one of the most exciting Formula One seasons in the last decade as in two more weeks we'll get to see some very exciting changes that will be taking place during 2014's Formula One season, these changes are perhaps the biggest changes we've seen in F1 racing in a very long time. This upcoming season the cars will be fitted with V6 engines instead of V8s. The new regulations allow for a 1.6-litre turbocharged V6 engine which operates in conjunction with an Energy Recovery System referred to as ERS. The ERS provides an additional 160bhp for 33 seconds per lap. For safety, each car is fitted with ERS status lights which warn marshals and mechanics of the car’s electrical safety status when it is stopped or in the pits. If the car is safe, the lights —situated on the roll hoop and the rear tail lamp— will glow green; if not, they glow red. The lights must remain on for 15 minutes after the power unit has been switched off. The engine must have six cylinders in a 90-degree formation, with two inlet and two exhaust valves per cylinder and a single turbocharger. They are rev-limited to 15,000rpm, have a fuel flow limit of 100 kilograms/hour and produce around 600bhp. They must also have a single tailpipe exhaust. The gearboxes will now have eight forward ratios which each team must nominate ahead of the season, to compensate for the extra power being generated under braking by ERS, the teams are allowed to use an electronic rear brake control system. To compensate for the increased weight of the 2014 powertrain, minimum weight has been increased from the current 642kg to 690kg. For safety reasons the height of noses has been reduced for 2014 to a maximum height of 185mm instead of 550mm. Front wings will be a little narrower from 1800mm to 1650mm. The rear wing will also look a little different for 2014. The previously-legal lower beam wing has been outlawed and the main flap has become slightly shallower in profile. Support pillars, however, are allowed. The DRS slot is also bigger than in 2013. This year in-season testing returns for 2014, albeit in a restricted format with the regulations allowing four tests of no more than two consecutive days at circuits where an event has taken place. There are also increased restrictions on windtunnel testing and CFD simulations. Double drivers’ and constructors’ points will be awarded at the final race of the Formula One season —Abu Dhabi for 2014 instead of the traditional Interlagos Brazil last race— in order to maximize focus on the championship until the end of the campaign. Drivers will be asked to choose their race number, between 2 and 99, for the duration of their career in the FIA Formula One World Championship. Number 1 will be reserved for the current world champion, should he choose to use it. If more than one driver chooses the same number, priority will be given to the driver who finished highest in the previous year’s championship. The driver number must be clearly visible on the front of the car and on the driver's crash helmet. Also in this 2014 season, race stewards will have the option to hand out five-second penalties for minor infringements. Any driver who earns 12 penalty points during a 12-month period will be given a one-race ban. Lastly there will be a pole position trophy that will be awarded to the driver who scores the most pole positions during the season. In the event of a tie, the trophy will be awarded to the driver who holds the greatest number of second places. If there is still a tie, the greatest number of third places will be taken into account and so on until a winner emerges. For more info on Infiniti Red Bull Racing click here. Posted on March 2, 2014 by Editor & Publisher and filed under Automobiles and tagged Infiniti Red Bull Racing F1 Sebastian Vettel Formula One Racing.